My sincere thanks to the folks over at Hired.com for sponsoring this week's bites. 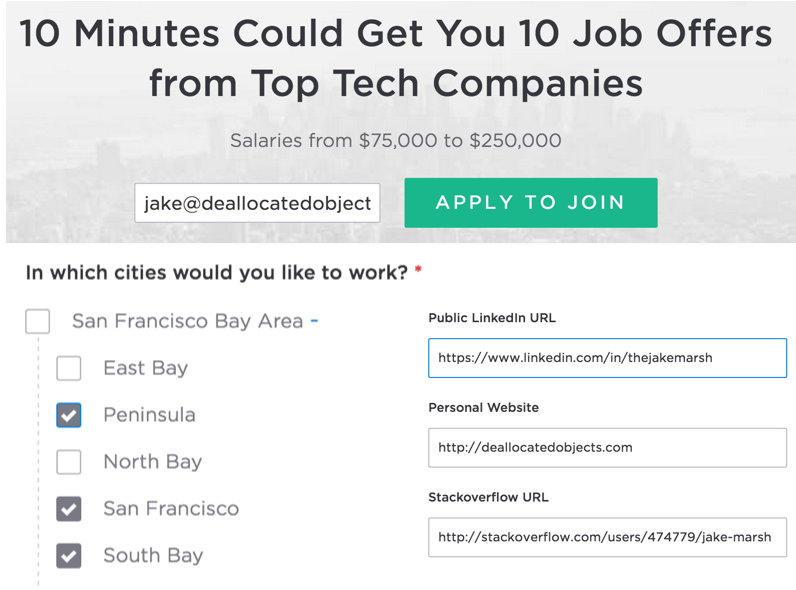 👍 Software Engineers and Designers on Hired can get 5+ job offers in a single week. 💰 Each offer includes salary and equity details upfront. ✅ You can view the offers and accept or reject them without talking to anyone. 🌎 Employers from 12 major metro areas: SF, LA, Seattle, NYC, Boston, Austin, Chicago, Atlanta, San Diego, London, Toronto, and DC. 😎 It's completely FREE and there's no obligations ever. 💸 If you get a job through Hired, they'll give you a $2,000 “thank you” bonus! 💸💸 Use the link littlebitesofcocoa.com/hired and they'll double that, giving you a $4,000 bonus when you accept a job! Answer a few questions and you'll be getting offers in no time! Hired is the real deal. They have fixed this historically messy process. If you're looking for a job, they should be your first stop.